Get your rubber stamps in a day instead of a week at Island Ship Center. We have next day turn-around for rubber stamps instead of one week. 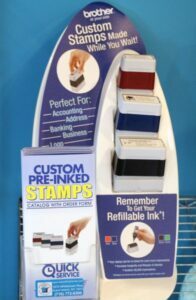 Call us or stop by for your stamp needs.